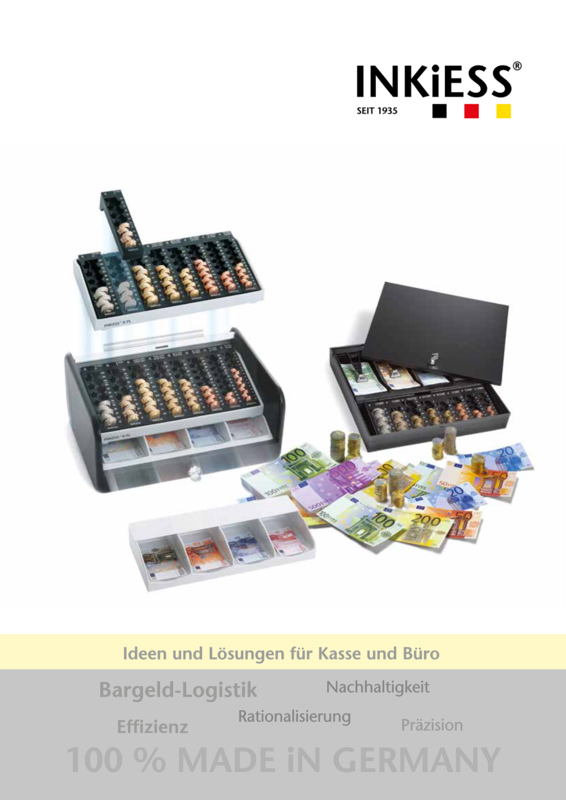 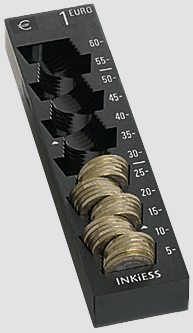 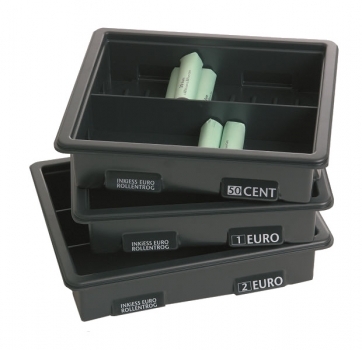 Roll storage container made of extremely durable material fpr transport and storage of EURO coin rolls at counters and in safes. 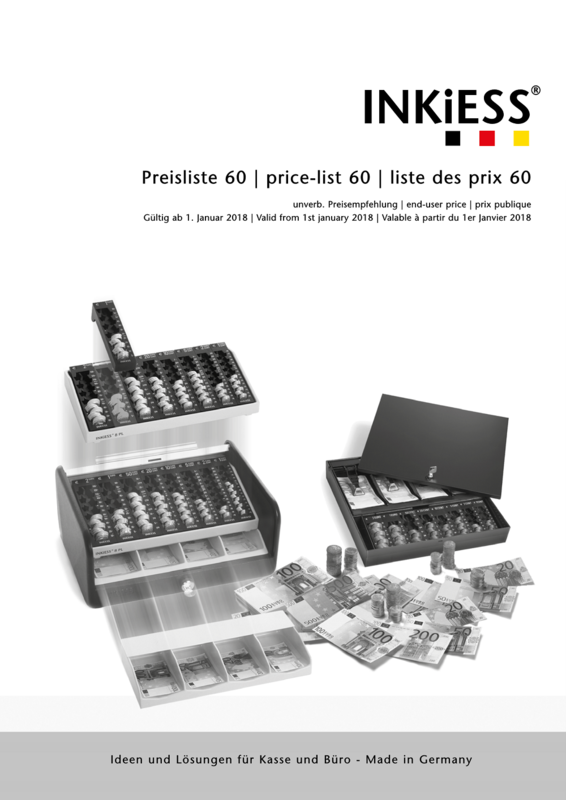 Clearly arranged stock of rolls, customary capacity of 40 rolls (50 C) or 60 rolls (all other denominations). 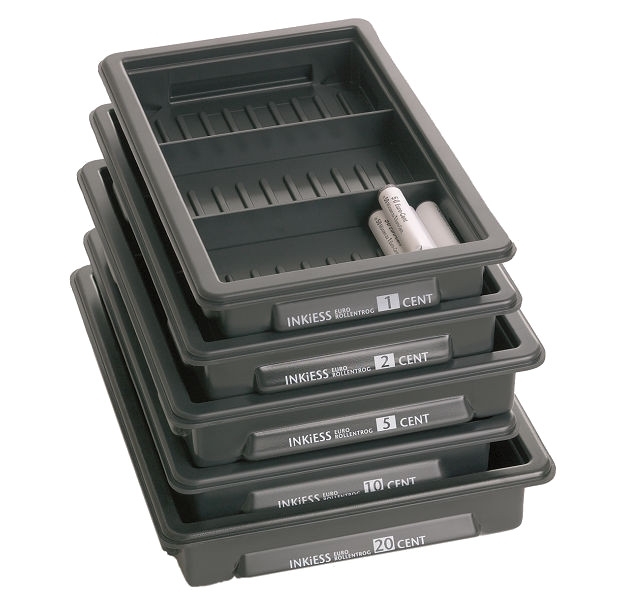 Stackable due to robust continuous rim.